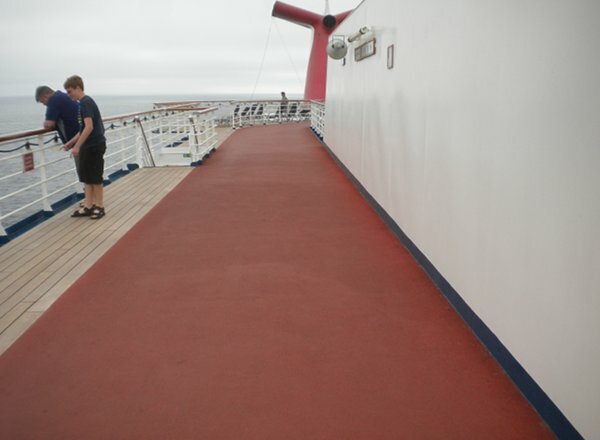 Whether you are enjoying the Jogging Track or simply relaxing in the sun, you'll enjoy the Sensation's best view from atop the Sun Deck. 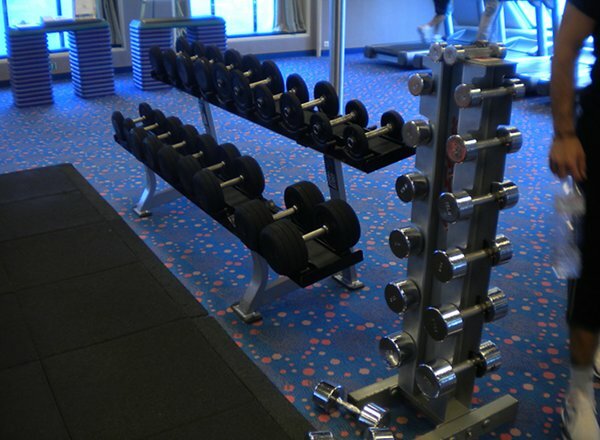 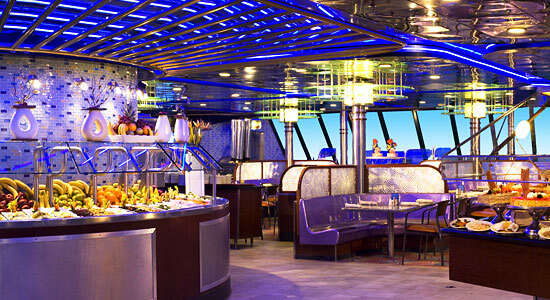 Pamper yourself on the Sun Deck with a visit to the 12,000-square-foot Carnival Spa, which is among the largest high-tech health and fitness facilities at sea. 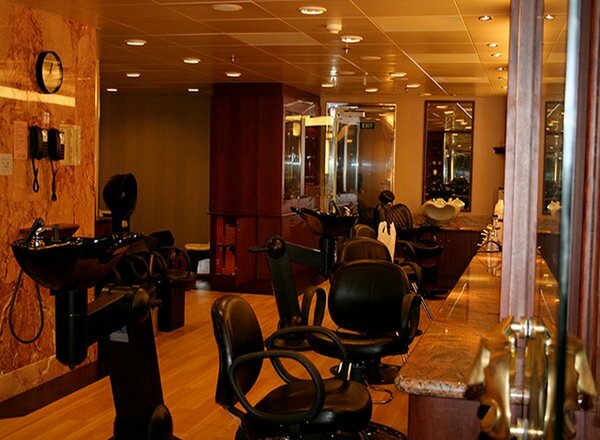 Consider a visit to the Beauty Salon, also located on this deck, before your special evening. 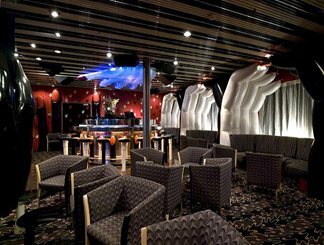 The Verandah Deck features staterooms in categories JS, OS, and 4I, as well as the wet and wild twist and turns of Inspiration's 115-foot long, 14-foot high water slide. 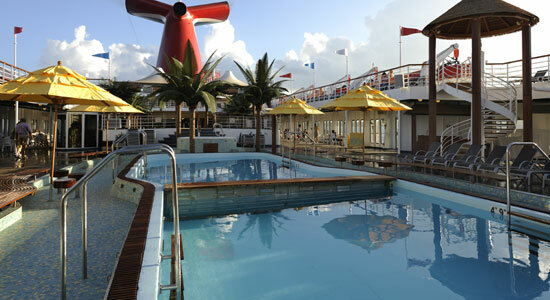 Then, cool off with a dip in the pool. 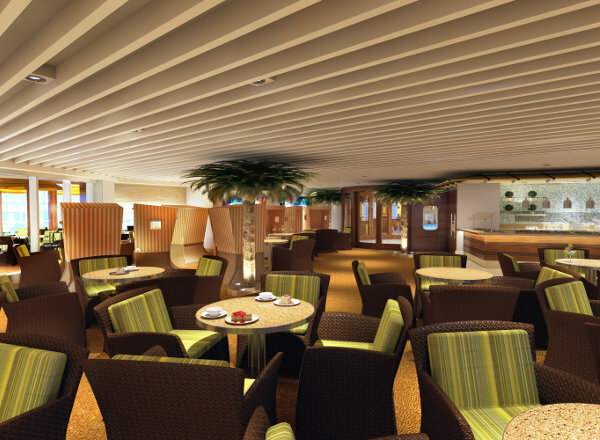 Go for a refreshing swim in the Lido Deck's pool and enjoy a delicious breakfast or lunch in the indoor/outdoor Seaview Bar & Grill, a nice alternative to the main dining room. 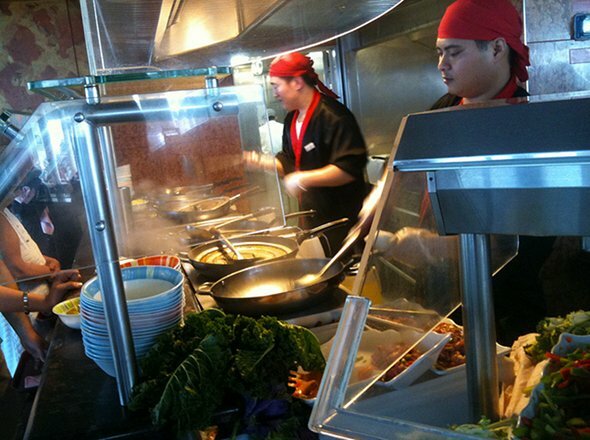 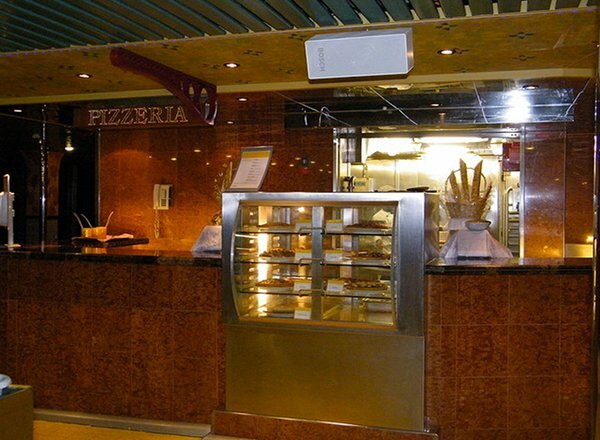 A variety of treats are also available at the Lido Deck's five snack bars. 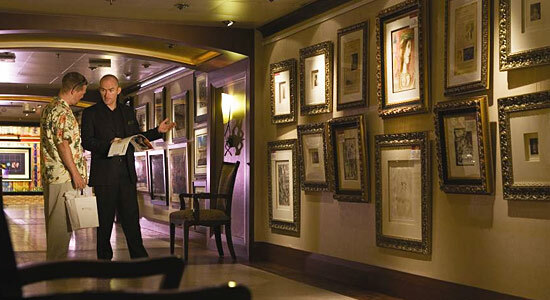 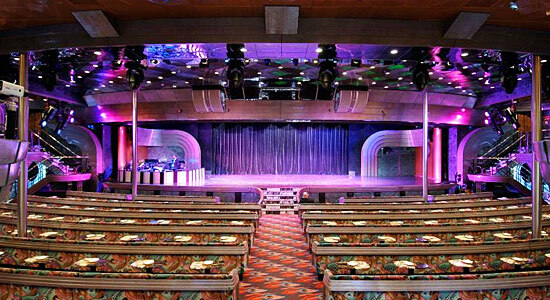 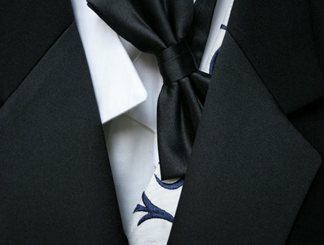 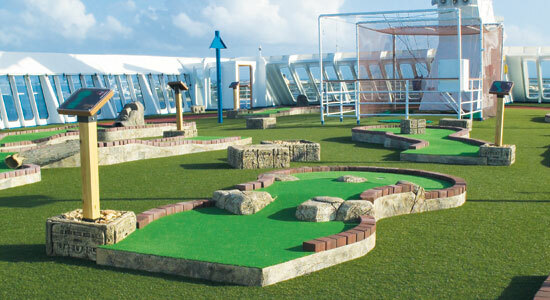 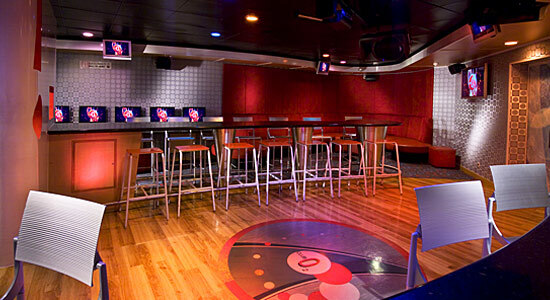 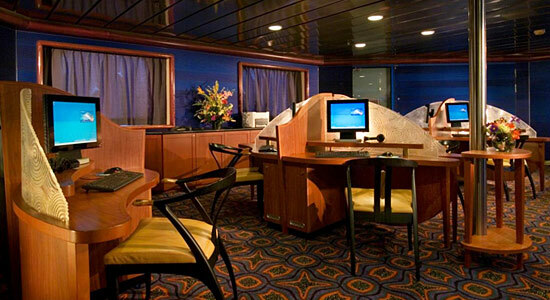 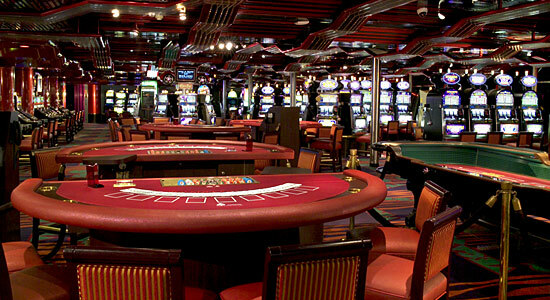 The Promenade Deck's many public rooms offer a variety of comedians, musical acts and magicians. 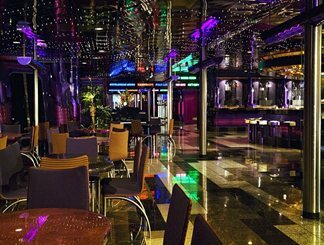 Boogie on down to the Kaleidoscope Dance Club or head over to the Fantasia Lounge which features lavish Las Vegas-style revues. 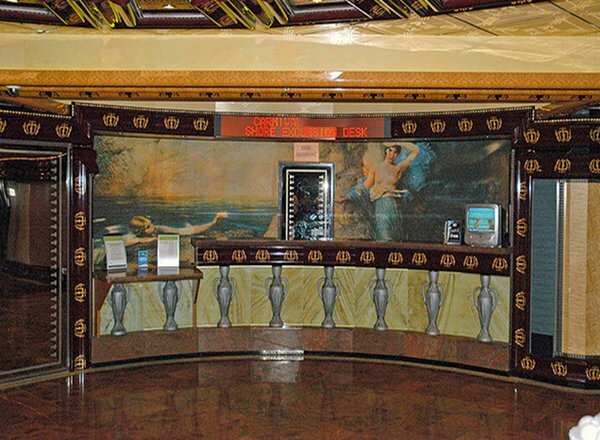 The games of chance in the Club Vegas Casino include a number of antique slot machines from the '30s AND '40s. 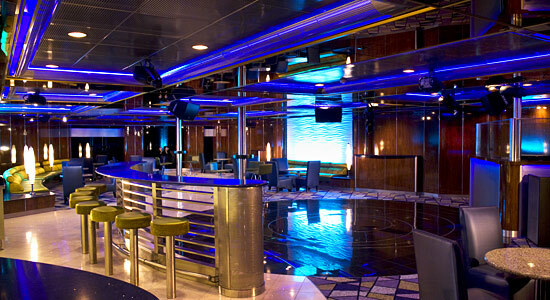 Multi-colored glass columns and a spiral-shaped dance floor are highlights of the Plaza Lounge. 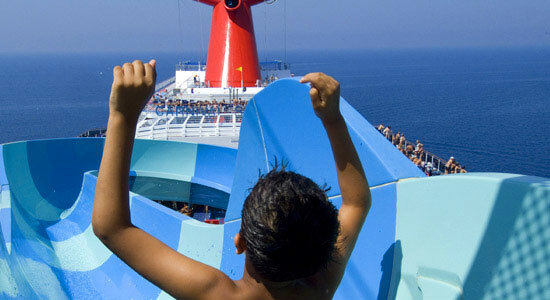 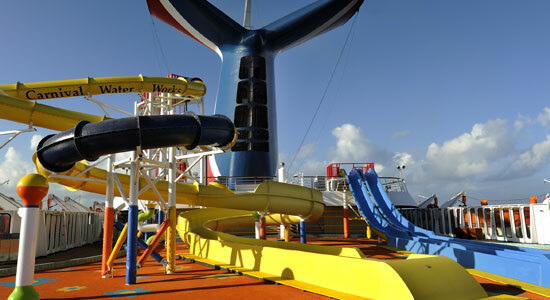 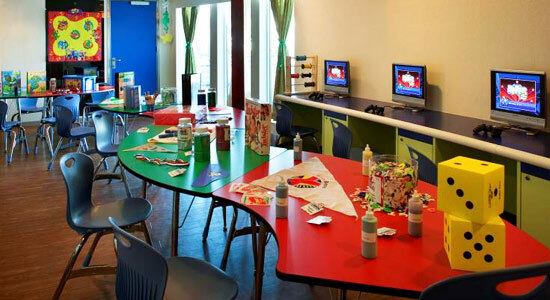 Kids ages 2-17 can attend Camp Carnival on the Atlantic Deck. 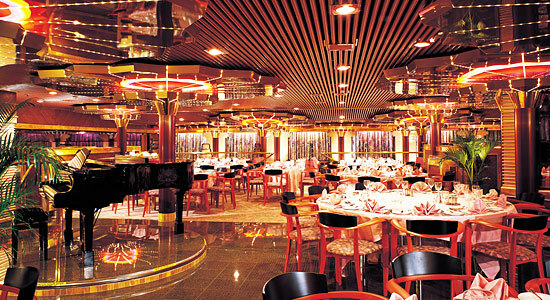 Sample a variety of culinary delights in the Fantasy and Ecstasy Dining Rooms. 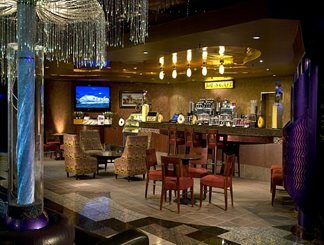 After dinner, enjoy Big Band Music in the Fantasia Lounge and enjoy a cocktail at the contemporary piano bar - Touch of Class Bar, or retreat to the Oak Room for quiet reading or to play a variety of board games. 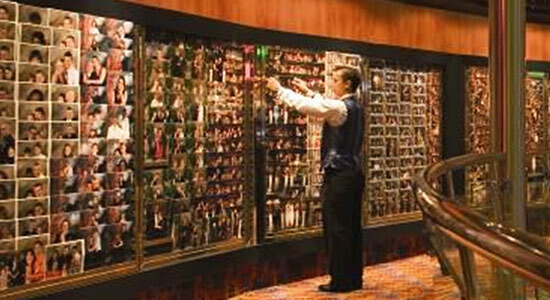 Be sure to browse the Galleria Shopping Mall for great duty-free bargains. 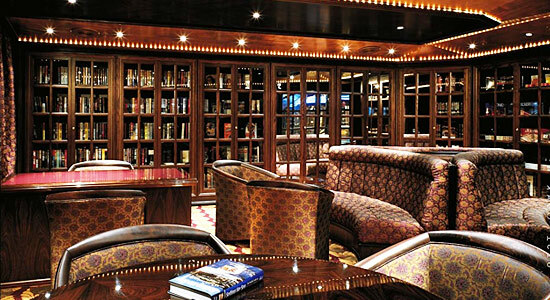 The Empress Deck features staterooms in categories 8M, 8D, 8C, 6E, 6D, PT, 4E, 4D, and 1A. 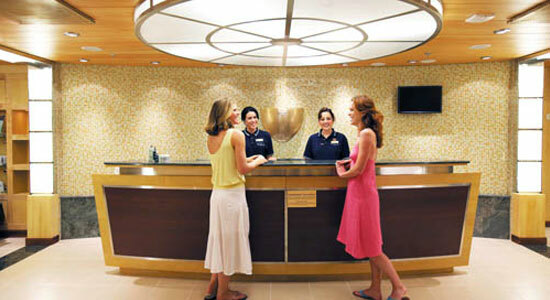 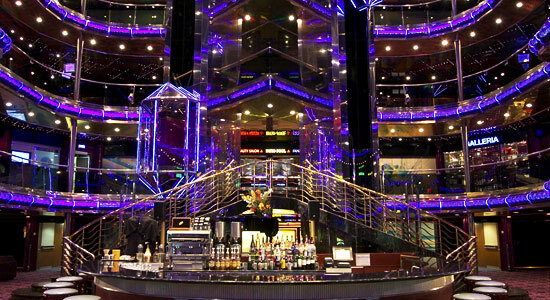 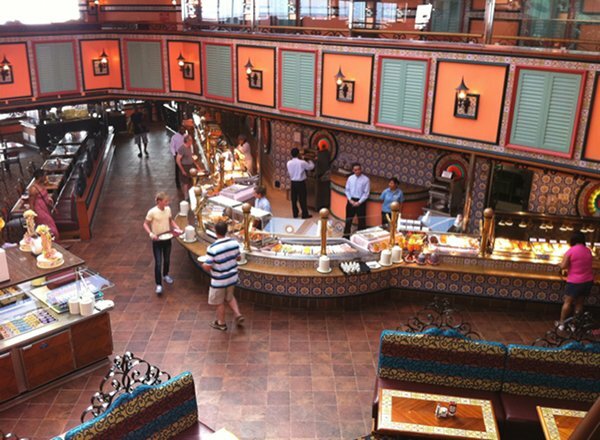 The Grand Atrium Plaza provides easy access to the ship's many public rooms and facilities. 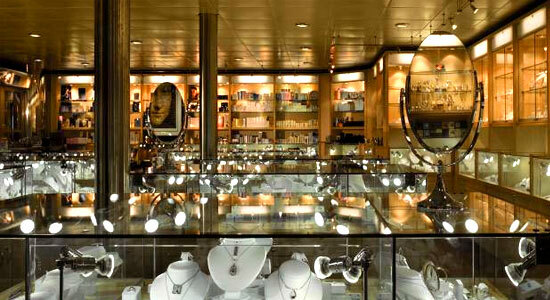 Check out Eliezer Weishoff's 22-foot-high sculpture, "A Sphere is Born." 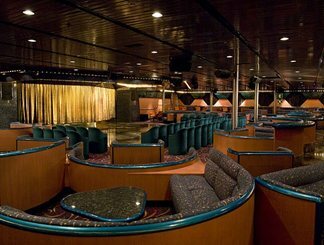 The Main Deck features staterooms in categories 8B, 8A, 6C, 6B, PT, 4C, 4B, and 1A.